The Canadian Museum of Nature is opening a new exhibit, on January 11th, 2014, that gives musuem patrons an oppotunity to see fish through a different lens. 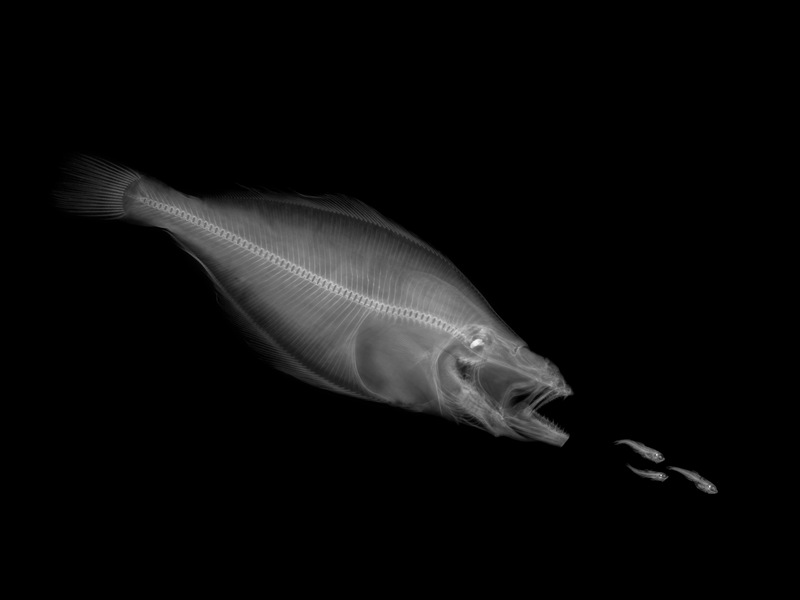 The exhibit is called “Beneath the Surface: X-rays of Arctic Fish” hosted a media opening this week, where I had the opportunity to see the x-rays of The Boa Dragonfish (Stomias boa), Greenland Halibut (Reinhardtius Hippoglossides) and Atlantic Herring (Clupea harengus). 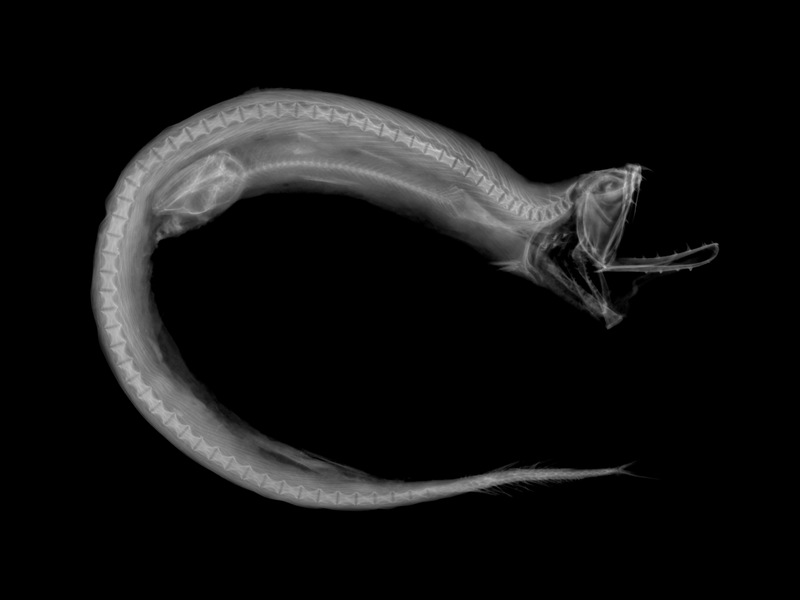 If you look closely at the Boa Dragonfish you can see the the entire body of it’s last meal. 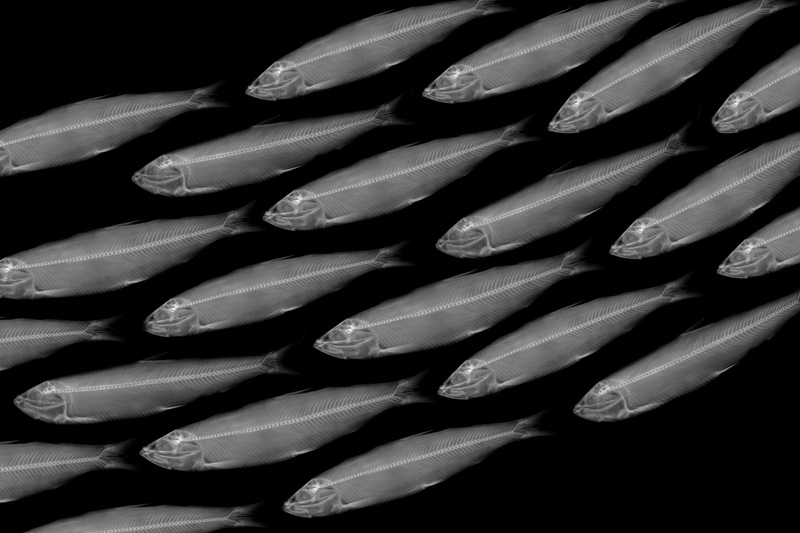 These fish are “schooling”, this is a good way for the herring to avoid predators. This large Greenland Halibut is hunting for it’s next meal. The exhibit is part of the paid admission to Canadian Museum of Nature. The exhibit is located in the Stone Wall Gallery located on the basement level of the museum. There are 16 images in the small exhibit, but what struck me most is the artistry of which the pieces are displayed. The haunting images show finite details and the hidden world of the Arctic creatures. This is not an exhibit that will enthral the younger audience, not to say the exhibit isn’t breathtaking but might not keep the attention of a toddler. I peg this exhibit for the older child or student of ichthyologists. The exhibit is open from January 11th, 2014 to January 4th 2015. ← Starbucks Canada launches “Tweet-a-Coffee” Today!